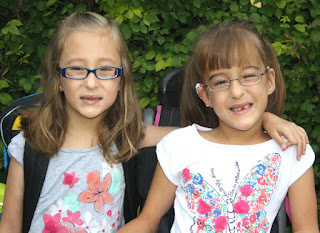 Micro Preemie Twins: The Story of Holland & Eden: First Day of Second Grade! First Day of Second Grade! Scroll down for a way overdue birthday post. Hey! I've been a little busy! They look lovely! 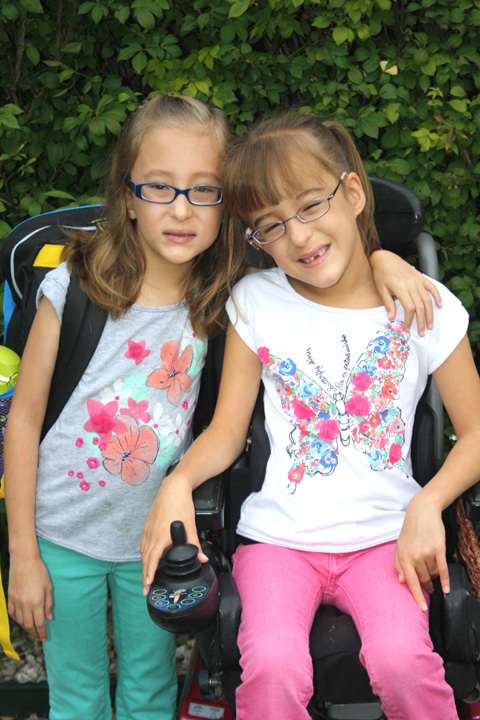 Enjoy second grade, Holland and Eden! Hi Billie, I stumbled across your blog and in the past 3 days have read from your very first entry up to now. You have amazing daughters who are going to achieve so many milestones in their lives that others thought were not possible, because they have you as their mum!! Supportive parents who love their children and ensure that their needs are met make an incredible difference in a child's life! BRAVO to you!!! And congratulations on the birth of another treasure! I look forward to getting to know her through your blog as she grows! Congratulations on Violet Mae and all the best to your 'big girls' in grade 2! Look at those cuties! There was a great feature on the facebook page for Cerebral Palsy Family Network of first-day-of-school pictures. Check it out!